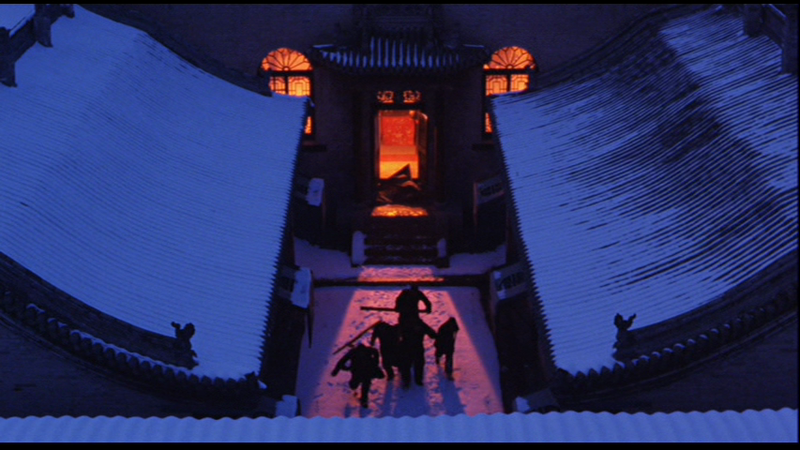 Raise the Red Lantern is my first Zhang Yimou and first Gong Li, the latter’s talent discussed with exclamation so much that it makes me feel like I missed out, although there are many beauties who have come to grace cinema after her. Nonetheless there can’t be a better first impression than watching her play Songlian, determined to dig her own grave despite her mother’s warnings. She behaves as stiffly and as nervous as a wall in one minute and trying to shout those same walls down during the next. I’m used to more Western narratives where a woman, whose only companion is her husband and perhaps a lover, becomes unhinged in isolation. 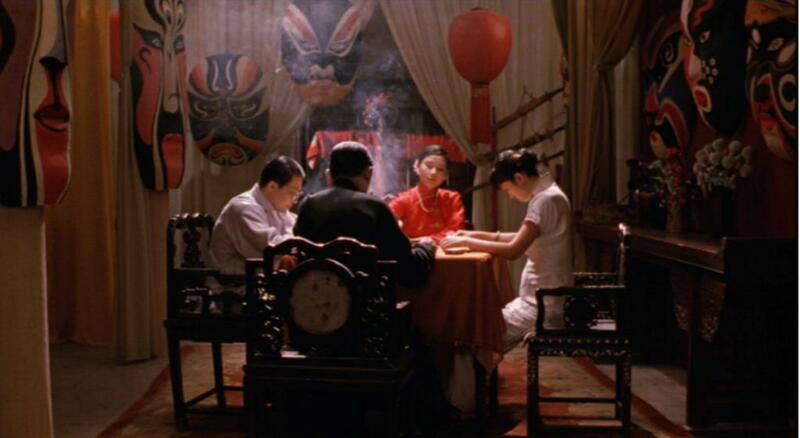 But this movie complicates that dynamic by making Songlian one of four mistresses to an early 20th century Chinese aristocrat Master Chen (Ma Jingwu), whose attitudes to each other are less cooperative and more competitive, adding to her isolation, a crippling yet universal feeling for many of literature’s heroines. But while we’re sympathizing with her and want her to succeed and play her wifely role perfectly, we’re also frustrated by her introversion the growing viciousness that her servants (especially Lin Kong as her servant Yan’er) begin to notice. I love how the mistresses are depicted, Songlian, the dowager one, the ‘nice’ one (Cao Cuifen) and Meishan (He Caifei), the holdout who still introduces herself as an opera singer. She always uses lipstick and light make up and her chamber reflects her former occupation, looking like a stage as Songlian remarks. It’s has the most personality compared to the golden warmth of the first two mistresses’ chambers. It’s one of the last times that the two women will be positioned as equals, both having the same stakes at the game, both deferring a chance to be in their Master’s company to the ‘nice’ mistress through one’s schemes and the other’s indulgence. But I noticed that there’s more to Songlian’s off-white chamber when her frenemy the third mistress visits. Plastered on the walls are scrolls as large as Meishan’s masks, a reminder of her off-screen past as a university student – funnily enough that Meishan looks up to her because of the former’s unfinished education. I’m starting to grow into the shot above as my best because of the inadvertent double effect that these scrolls put attention to themselves as well as recede to walls of the same colour, as well as reflecting the restrained nature of both her studies and as a mistress-in-waiting. 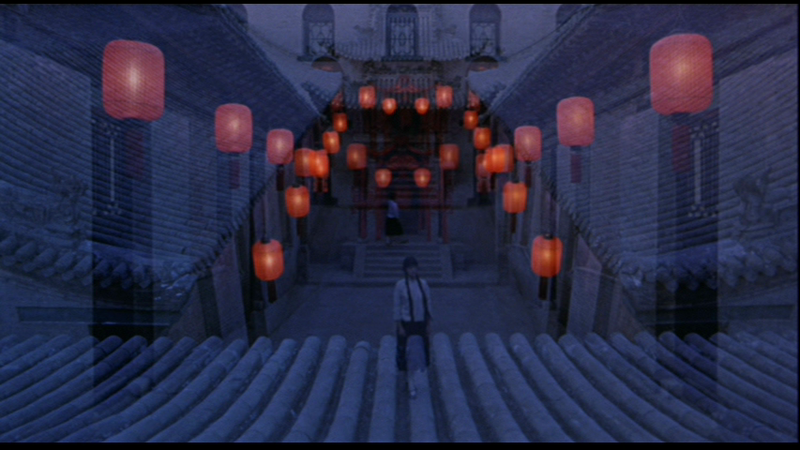 Even the red lanterns don’t even make the place look more colourful. 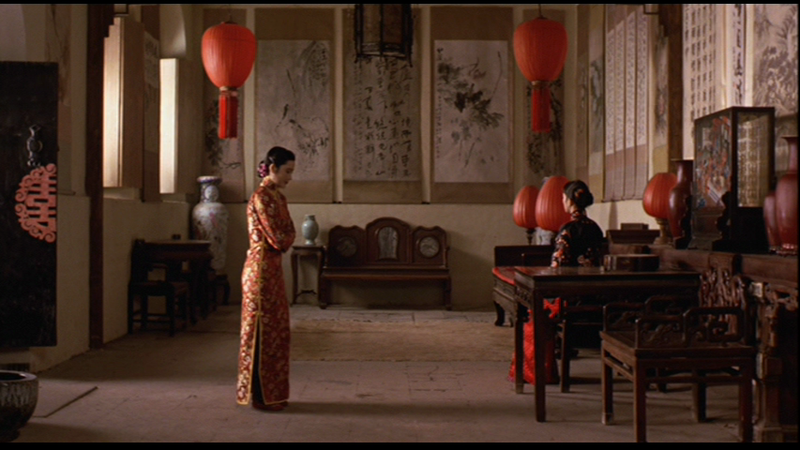 Yimou’s camera prefers to push the camera back, making these women as secondary to the room as the room’s motifs. She finally lets Meishan into her chamber not as a competitor but as a confidante but there’s so much going on with the body language and blocking to reinforce the borders between them, as Meishan furthers herself into Songlian’s quarters there’s still some reluctance, with her arms crossed and the latter with a demure pose, not looking at her visitor directly. 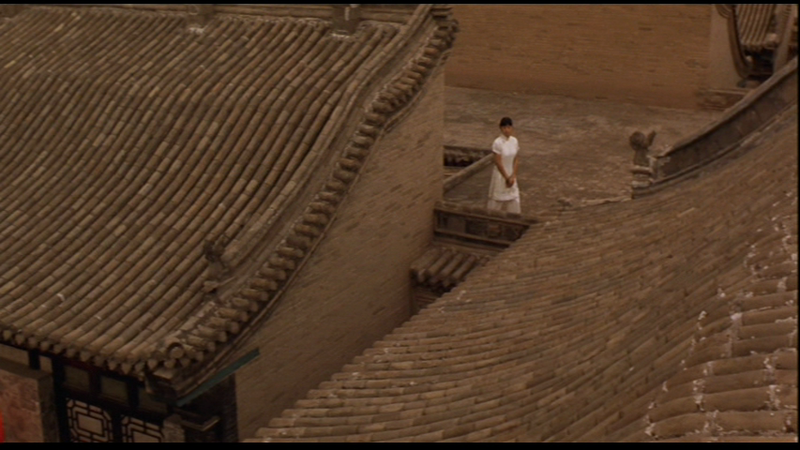 The shots that came close to being the best are exteriors. Songlian is outside her quarters, giving her the freedom to navigate the palace in open air but she again recedes, making her insignificant compared to the palace’s grand scale as well as its many, conniving inhabitants. But this new knowledge has a price, giving her more access to the family’s ghosts. The ‘nice’ mistress tells her not to go to the locked chamber. Of course the household likes to keep their oppression from reach but she goes back when her friend Meishan is dragged there through her own drunken fault. Because of an injustice the house seems as if it has its own spirit, or that Songlian makes it seem that way to keep her victim alive. In the household light means power and most of the time the Master and the men have this, the lanterns symbolizing the Master’s company and the favour tipping towards a certain mistress. But sometimes the women get this power like the shot below where the women can scare the men off, being unable to kill off or rid of a subversive mistress. Her freedom is eventually negated in the end when she regresses into her childlike self with school girl outfit, walking back and forth in her own hallway like Minotaur, barred from the Master and the household’s company as they fear the destruction she might cause to the society that’s been equally cruel to her. 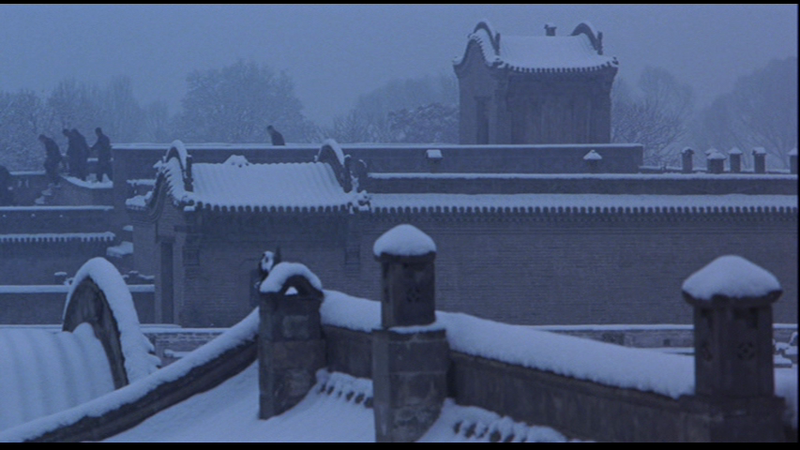 It was kind of frustrating to get this shot, as Yimou kept cutting these static shots too fast and with slightly different angles. It had this effect where the lanterns criss crossed together. There’s probably something more to these shots that I can’t articulate but I eventually embraced its beauty.